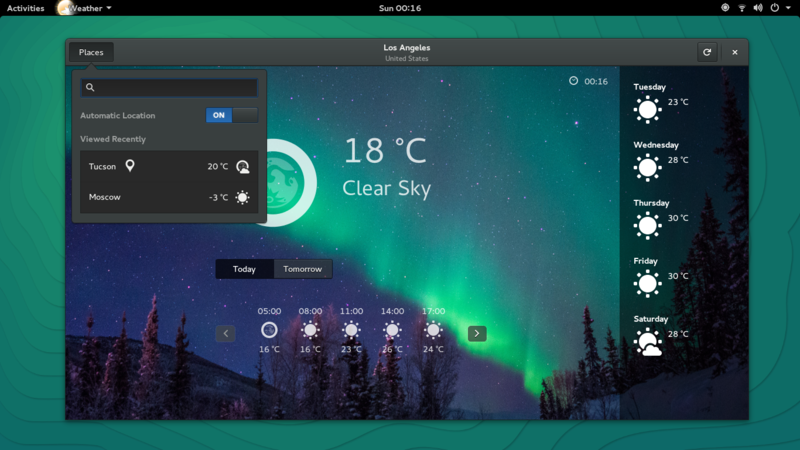 GNOME weather is simple weather application. GNOME Weather can display the current weather condition for multiple locations. It features a 10 day forecast function, will notify you of hazardous weather conditions and has radar maps. This page was last modified on 24 November 2015, at 20:29.